Effective data management is critical for all organizations. Precise and accurate data can provide a clear advantage to a company's decision making process and competitive response. Every corporation large or small manages transactions every day, each of these transactions either financial, sales or production constitutes a key input into a company's final business story. At Outsource2india, we understand that data entry is a crucial part of data management and that it is tedious and time-consuming. Leading global corporations have found a key ingredient to overcome this challenge by outsourcing data entry. 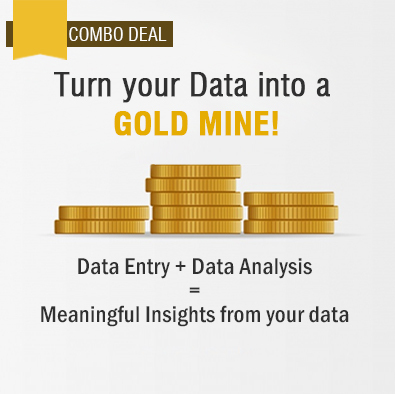 Imagine a data management firm that offers a complete package of data entry services at an affordable price, allowing you to focus on your core business activities. With over 20 years' experience in data entry and analysis, and multiple delivery centers across the globe, the data entry professionals at Outsource2india (O2I) have the capability to work on large volumes of data and provide accurate and error-free data entry services. Large volumes of data, keyed in 24/6 to ensure fast turnaround and accurate delivery. Data entry and ebook conversion for Publishers. Data entry of Image descriptions for competent indexation and search ability. Data entry of offline fashion, retail and industrial catalogs, keyed and validated for 99% accuracy. Document Scans, PDF, JPG files keyed in with accuracy into editable formats. Converting offline print material into electronic format. Data entry for restaurant menu digitization. Handwritten/printed survey forms keyed into tabular formats for analysis. Data entry of research questionnaire with voluminous data fields. Data entry of annual regulatory data for research and filing needs from available company documentation. Spanish and other European languages are keyed in for offline or online use. Apart from basic data entry, the data entry professionals at Outsource2india can provide additional services for data conversion, data processing, data extraction, data mining, data enrichment, database development and migration, online data capture, data mining and warehousing, and data cleansing among others. Client ensures input documents to be processed are scanned and uploaded to an online server using secure FTP (File Transfer Protocol) or O2I employees log in via VPN (Virtual Private Network) onto clients onsite network. O2I employees download/access the files and review with preapproved ‘Scope of work' document. The documents are then keyed in, per pre-agreed method (either specific web applications or excel table sheets) and checked for duplicates and errors. This data is then indexed, sorted and moved to pre-agreed folder structure for easier irretrievability. All data entry projects go through a round of quality checks before delivery to ensure accuracy and to meet the 99% expected quality standards. Finally, the files are uploaded via FTP or VPN for review by the client. Skilled and Experienced Data Entry Professionals - The data entry professionals at O2I are not only in fast and accurate, but also has a good understanding of multiple industries. Outsource2india has a certified team of data entry professionals providing unique data entry service to support varied industries with varied complexities. Guaranteed Connectivity - Connectivity plays a vital role in data entry services and at O2I, we utilize 50mbps Internet T1 lines from multiple service providers to ensure seamless flow of data 24/7. Data Security and Confidentiality - At Outsource2india, we ensure that only authorized personnel have access to your files. We use FTP or VPN for file transfer to ensure data security. Additionally, we maintain backup of all files for easy retrieval of information in case of data loss. Know more about O2I's data entry security measures. Swift Turnaround - The data entry professionals at Outsource2india continuously strive to achieve customer satisfaction through swift delivery of projects. We provide overnight delivery as well. Send us your project at the end of your working day. Our team will work on your project and send you the completed files by the start of your next working day. The turnaround time, however, may change based on the complexity of your project. High Quality Services - The Quality Assurance (QA) team at O2I performs multiple quality checks to ensure that all data entry projects meet the client's expected quality standards and have an accuracy level of more than 99%. Pricing - At Outsource2india, our pricing structure is specially designed to suit the budget of our clients. Experience a minimum of 60% cost savings. Our rates are transparent and are based on "per project" and "per hour". We also provide FTE (full-time equivalent) rates. How about reading an article on the 10 Common Misconceptions about Data Management? Apart from our India-based data entry services, we also have other delivery centers in Philippines. Our team of data entry specialists ensures that the results we deliver are highly accurate and within a short turnaround time. Some of the services we offer include catalog data entry, data entry for e-commerce, restaurant menu data entry, etc. 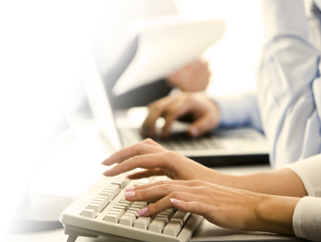 Outsource Data Entry Services to O2I Now! Partner with Outsource2india and avail accurate and precise data entry services in a cost-effective manner. Contact us to know how efficiency and profitability can enter your business lexicon via Data entry outsourcing at Outsource2india.